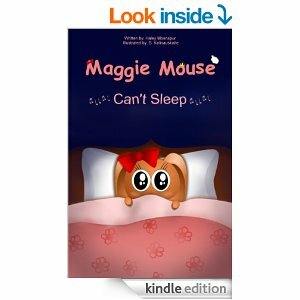 ‘Maggie Mouse Can’t Sleep’ is a sweet rhyming short picture book about a young girl mouse that can’t fall asleep because she is afraid of monsters. ‘Momma’ tries every trick in the book to help Maggie get some rest, but nothing works… until she remembers just the thing that does the trick. ‘Maggie Mouse Can’t Sleep’ was written for children 0-3 years old, but early readers love it too! Children’s active imagination can really turn trivial things, such as shadows or noises, into very scary events. ‘Maggie Mouse Can’t Sleep’ will help address those worries in a fun-entertaining short story. The story in this short children’s book is beautifully told through rhymes and cute illustrations. ‘Maggie Mouse Can’t Sleep’ is a perfect gift for new parents, parents with young kids, and for early readers. The sisters grab your attention right from the beginning as they plot their trip to Ireland. 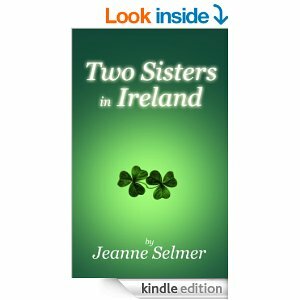 This is an entertaining story about two American sisters traveling through Ireland meeting colorful characters while visiting interesting places. Sit back and enjoy this lighthearted story that will make you laugh and cry, but at the end you’ll cheer. Do you know that two people can perceive completely different things in the same exact situation? Do you know how a person can be so positive and optimistic even when they are facing the most difficult time of their life? Do you know changing your perception will also change your whole reality? Our senses are our initial and most direct means of gathering information from the world. We see objects, light, shadows, darkness and colors. We hear the rush of the wind, the roar of thunder and the caring voices of the ones we love. We smell the sweet scent of flowers and the freshness of the air. We taste savory dishes from the world over, and delectable desserts which make our mouths water. We hold hands with others around us, and we feel the warmth of a winter’s night fire. Beyond our five most basic senses, we have learn to understand and comprehend the sights, sounds and smells which are all around us. We have learned to process it in ways, which are beyond remarkable, and have developed senses, which are much more advanced than those that allow us to collate the signals which we receive from the world around us. In this book, we will discuss in detail on “the power of our perception”. We will take a closer look at how each person perceives the sights and sounds he/she receives in a way which is quite different from others. We will discuss the importance of perception in our understanding of what reality is, and we will also take a look at some real examples that will consolidate your understanding of the importance of perception. We will discuss the various experiences, which each of us gains from life, and which ultimately shapes our view of the world. Our thoughts are perhaps the most crucial components of our ability to perceive and we will explore how the way our mind works affects our perception. 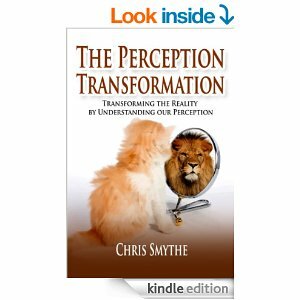 This book has been composed to help you achieve a better understanding of your world and how you perceive the things around you. Only through a proper understanding of perception can you learn to see the light, even in the darkest of times. By altering what you perceive as negative experiences, you can alleviate your negative emotions and your self-imposed restriction on leading a happy and healthy life. When ex-journalist Peter York is called to the hospital bedside of his ailing former boss, William Ardell, wealthy publisher of the Toronto World newspaper, he is offered a strange job: find the woman who visited Ardell’s hospital room that morning and bring her back to talk to Ardell. The woman has said something to Ardell that he will not reveal. The price for this service: a half million dollars. More curious than anything, Peter York agrees to try and find this mystery woman. An hour later he finds her, only to watch helplessly as she is run over by a black SUV that escapes. Thinking that the investigation is over, he returns to Ardell’s hospital room to give his former employer the bad news. That is when he discovers what the dead woman actually said to Ardell, and why he was so desperate to find her. Malach was there the day one of his brothers chose to fall. When his brother betrayed their Maker, he betrayed them all. He never understood why an angel would choose to fall from heaven, until he looked into the blue eyes of the human he was to protect. Elina will never forget the dark angel who came to her village and killed her family. She holds his image close to her heart, waiting for her chance to avenge those she loved. She does not know why she was chosen to save humanity, only that she is in a race against time itself. The Fallen will stop at nothing to get to her. Malach is her guardian angel chosen to protect and train her. She should not have feelings for him; she fights it every day. In the quiet moments they hear the whispered question “Are you Shadow or Light?” It is the question they struggle with. Each stolen glance and soft touch brings them closer to breaking the Angel’s Covenant. Malach is an archangel chosen as the Guardian of Hope. His promise was to protect and guide her until she is ready to reunite her people. Trouble is brewing amongst the angels. Some feel that humanity is the problem, but Malach knows the truth. Humanity is the key to peace. 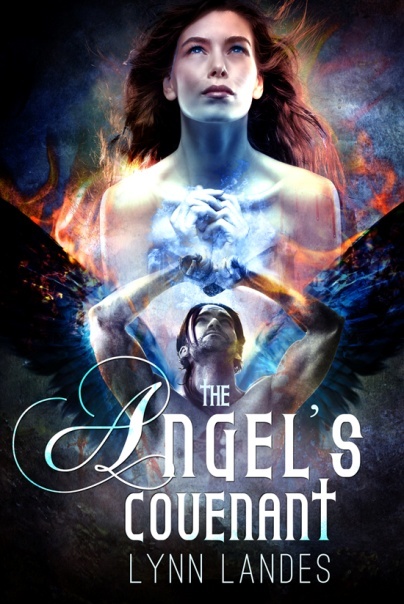 Elina is the only hope they have against the dark angel, for he is building an army bent on ruling Heaven and Earth. I love paranormal, witches, vampires, werewolves. However, I have had trouble finding a book that will hold my attention lately. I read ALOT. This book gave me whatever it is that I was looking for. It just flowed for me. I would recommend it to anyone who loves this genre. 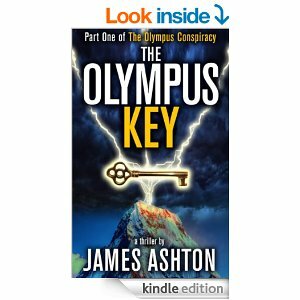 This is a fascinating story of good versus evil, watchers and keepers (who protects humanity and guides the souls of the dead to home). We have Archangels who help the keepers and to guide and train them. Then you have the Fallen (the angels that left heaven and became evil) and plenty of demons. There is plenty of action, danger and suspense and a touch of romance too. I hope there will be a sequel. You’re about to discover the crucial information about Ripple. Millions of people have made the jump into the cryptocurrency world and it is only growing each and every day. It can be overwhelming if you are looking into taking the plunge because of all the various options and misinformation out there. You also need to understand the risks and benefits of using Ripple because people begin without even considering many of the important factors. This book goes into the origin of Ripple, the difference between Bitcoin and Ripple, as well as how to get started with your own Ripple currency. 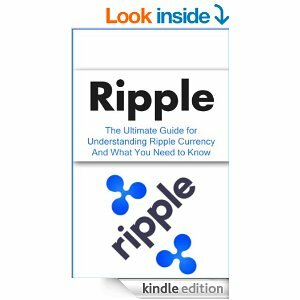 By investing in this book, you can learn the basics of Ripple and a step by step guide to start your own account.